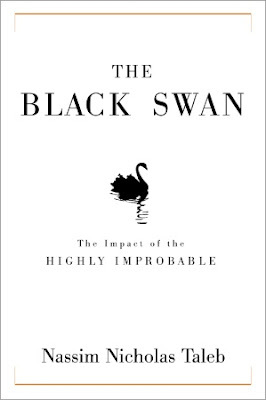 This book is getting a bunch of attention and lots of "If you liked Blink and Freakonomics, you'll love this" treatment. The US cover (top) is in stores now; I'll try to get the designer's name soon. I don't think s/he will be too happy on seeing the UK cover (bottom), though: there are obviously different boundaries for designing a business title outside of the US, and they're much better boundaries. UPDATE: Books without titles on the front cover seem to have piqued the interest of several readers, so I've started to tag books with "no title on cover." The UK one has no title or author on it? BRILLIANT! Who needs a title on the cover when you have such a great visual statement? People will stop, pick up the book, turn to the spine, and THERE is the info. So, the publisher has effectively grabbed their attention enough to actually pick up the book, rather than do an eyescan over a huge pile of books on a table. And if a buyer is looking online, there's no worry about the title being too small (what title? ), and they will search by name or author anyway. I'm tired of seeing covers like the US one (I'm also tired of designing in that template, but that's another story...). The UK one is very, very fresh and clever. The UK version reminds me of the cover for The Little Girl and the Cigarette you covered recently. I adore the UK version and would pick it up for certain. I still like the US- it feels crisp to me, but the UK version has way more POW. I can't agree that the U.K. is brilliant. Brilliant as what? Book design has a job to do: to identify and sell a book. You think the U.S. designer will be unhappy? What about the author? This would be brilliant as a teaser poster, part of a slow-reveal marketing campaign, if book publishing had the money to invest in such things. Or even as the cover of a reissue of a book that's reached such iconic status it no longer needs a title. But given the job it had to do, I can only see it as a beautiful failure. 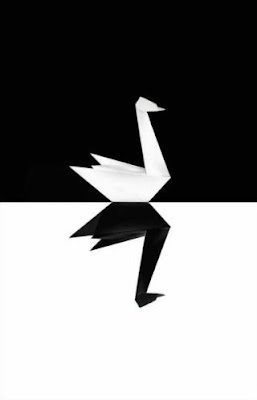 In either way, shouldn't the cover be flipped the other way around to match the title – the black swan? DOES ANYBODY KNOW WHO DID THE UK COVER TITLE? OR WHERE THE IMAGE IS FROM?